Earlier this month I met Ivan Li Huang, a fellow graduate of the MIT Sloan Fellows program, at a continuing education class at Sloan. 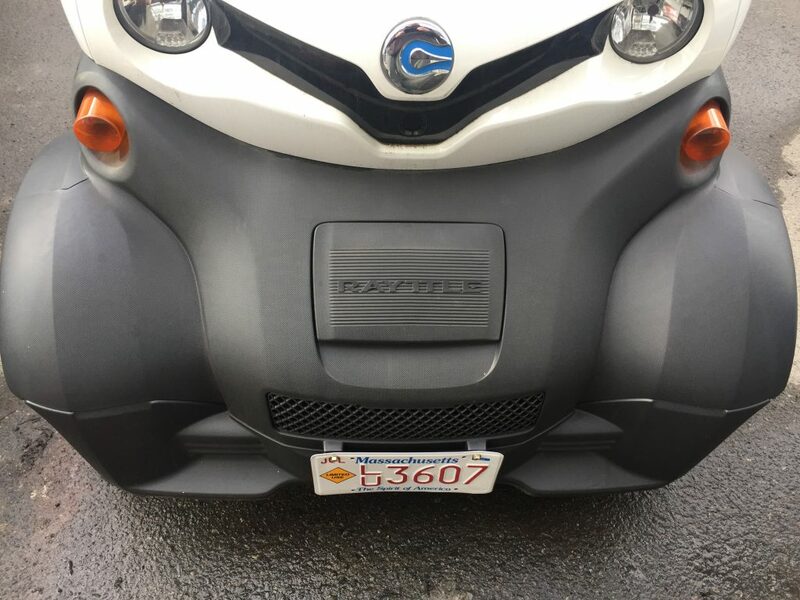 We chatted, and I found out that after graduating from the program a few years after me, Ivan had subsequently founded a fascinating venture: Bonzer, a car-sharing service based in Kendall Square. The timing was fortuitous. 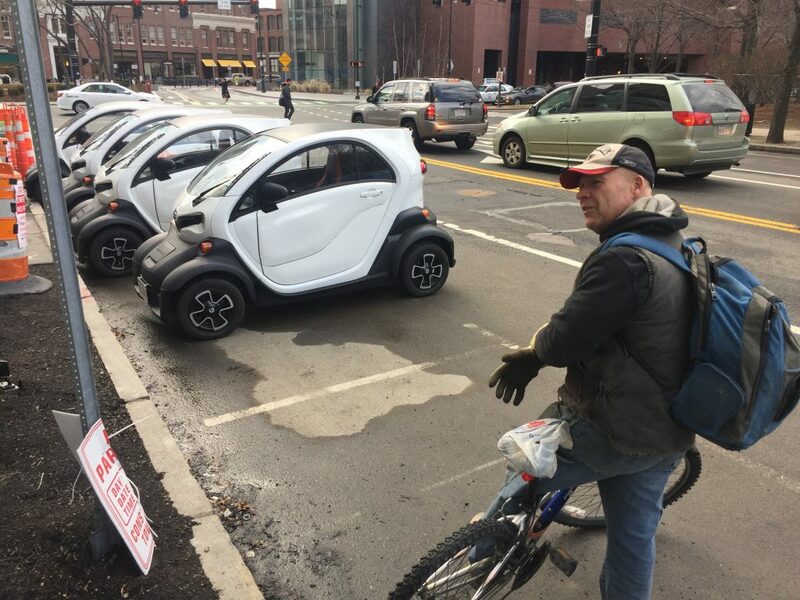 Ivan had just completed several bureaucratic steps, including getting approval from the Massachusetts Department of Transportation to drive Bonzer’s small electric cars on local streets. 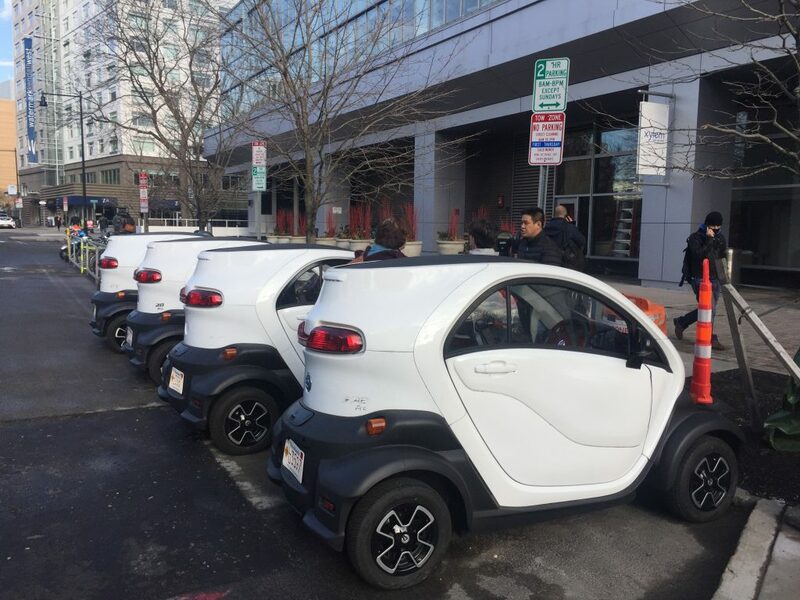 The cars were ready for a demonstration, and I was there at the Cambridge Innovation Center a few days ago when Ivan and his team let testers take the cars for a spin around the block. I have video interview with Bonzer’s founder below. 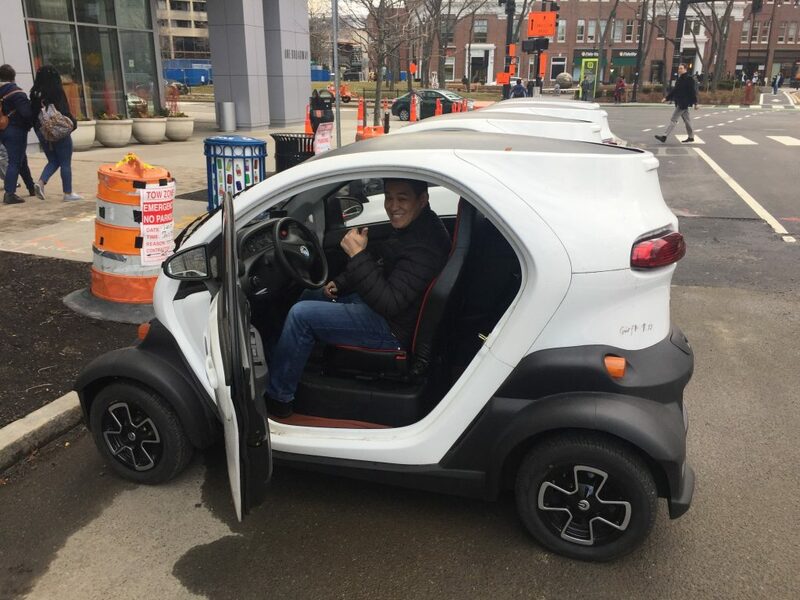 Bonzer founder and MIT Sloan Fellows graduate Ivan Li Huang in one of the cars. 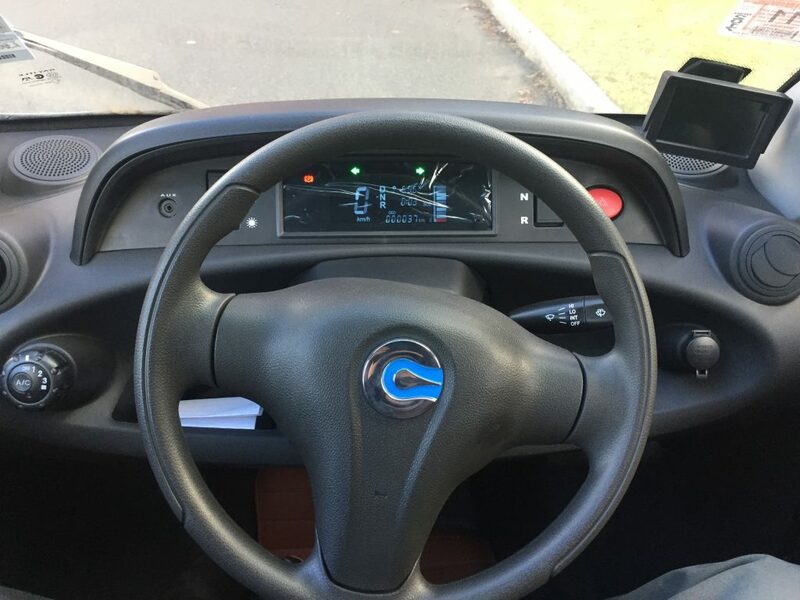 Bonzer driver’s view. Basic but standard controls. The cars got a lot of looks, with some people even stopping to take a picture or selfie. 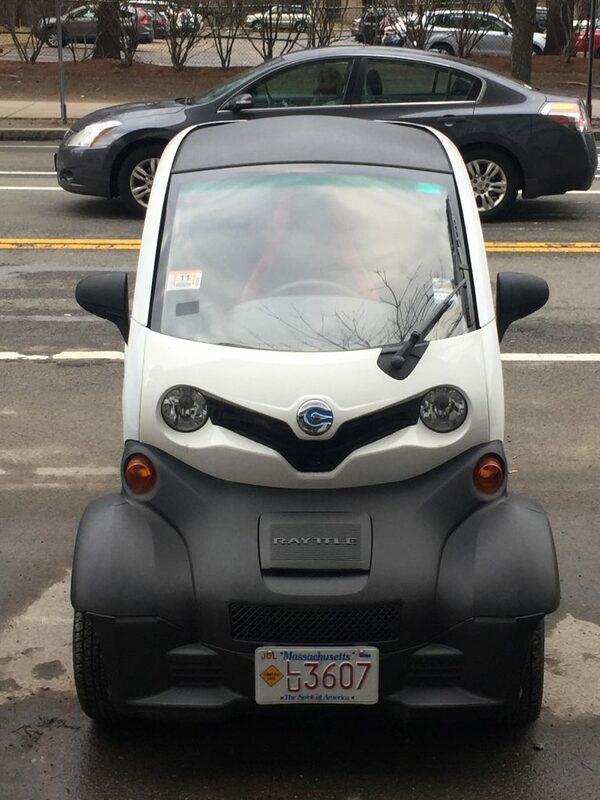 And no wonder: They not only look cool, but they also small enough to fit sideways into a parking spot. Three Bonzer cars could fit into the space occupied by a standard car!